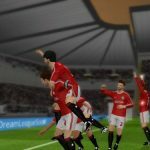 Sports game developer, From the Bench, has just snuck in the pre-registration of their latest game into the Android and iOS markets. 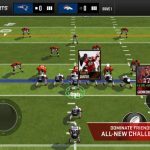 NFL 2019: Football League Manager is an American football-themed game that puts players in the shoes of the team manager. The ultimate goal of the game, of course, is to win the prestigious Super Bowl. Players start out with a basic team. Their job is to recruit the best quarterbacks, linebackers, and blockers in the industry in order to build the best team the sport has ever seen. Recruitment is just the beginning, though. Every member of the team has plenty of room to grow. A good manager will know how to maximize the potential of each player in order to secure victory. Those who are new to the team management genre will quickly discover that there is as much action behind the scenes as there is on the field. A team of the best players in the world cannot win without proper leadership. Managers will need to train their players on how to pass, tackle, throw, kick, and block. There are also a variety of strategies and formations to learn. Knowing the best ones to use for each situation can make or break a game. Fans of the National Football League will be glad to know that the game is fully licensed. That means all the brands and player names in the game are authentic. Managers can recruit their real-life favorites like Tom Brady, Richard Sherman, Antonio Brown, and Deshaun Watson. This will allow players to build their dream team and lead it all the way to the Super Bowl. 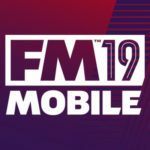 NFL 2019: Football League Manager is currently available for pre-registration for both Android and iOS devices. Those who want to get a head start as soon as the game is live can sign up through the Google Play Store or the App Store. 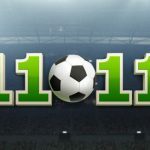 For more information on NFL 2019: Football League Manager, you may visit the game’s official website.